The Variable Balans extension blocks insert between the wooden runners and the knee pads to shorten the distance between the seat and the knee pads. Variable Balans extension blocks insert between the wooden runners and the knee pads to shorten the distance between the seat and the knee pads. This option is suitable for children or adults under 5' tall. The original kneeling chair, Variable Balans by Varier, encourages active sitting by creating a cycle of continous movement. Variér Furniture offers an extended warranty to customers who register their products in the Variér product database. 7 years guarantee against fabrication faults on wooden parts. 5 years guarantee against fabrication faults on the mechanism. 3 years guarantee on upholstery and foam. 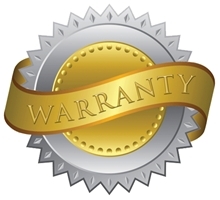 This requires a successfully completed registration of the product in the Variér Extended Warranty database, and that the warranty certificate is submitted together with the original receipt (proof of purchase). Once registration is completed, proof of guarantee will be sent to you via email. The product is being used for the purpose for which it is designed. The product only being used indoors. The product being properly maintained as described in the maintenance/user guide. To utilize the extended guarantee, proof of guarantee shall be submitted together with the original purchase receipt. Any condition due to normal wear of the material (for example, colour fading and wear and tear). Any condition due to the natural character of the materials (for example, colour differences in wood, leather or fabric). Any condition due to influences from external factors such as sun or light, temperature, dampness or pollution. Other damages (for example, damage made during fitting, damage to the floor, other furniture, etc.). Replace or repair the defective part or product. Cover normal transportation costs for the replacement part or product from Variér to the retailer where the product was purchased. The purchaser is responsible for covering the return costs to the retailer. If a claim is made under the Extended Guarantee, the registration receipt (proof of guarantee) must be produced together with the proof of purchase. The product shall normally be transported to the retailer or be available for inspection by the retailer or Variér’s sales representative. Photographs and other documentation that document the defect or damage shall be provided. If the retailer is certain that the damage is due to a fabrication fault he shall send the claim to Variér Furniture, together with documentation and necessary photographs. Variér Furniture shall evaluate repair or replacement of the product or replacement of any part due to fabrication error. 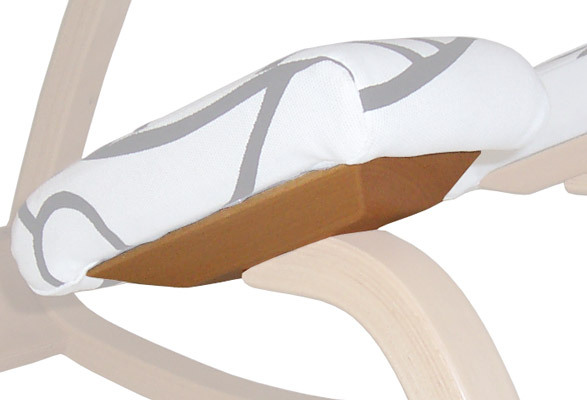 The cushions will change form following normal use and age. This must not be confused with loss of elasticity which can be attributed to a fabrication fault. The cover (both material and leather) will stretch as a result of normal use. This must not be confused with loss of elasticity which can be attributed to a fabrication fault. Folds and wrinkles may occur and are not grounds for a claim. Lack of cleaning could seriously impact the lifetime of the furniture. Any cover that is a synthetic material (for example, micro fibres) will on movement against the surface of the cushion, generate static electricity. 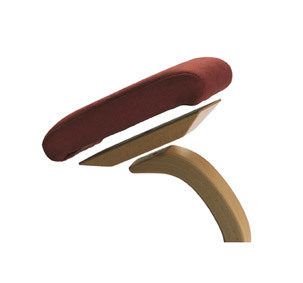 This may prevent the cover reverting back to its original form after rising from the chair. The purchaser may perceive these as wrinkles or folds. However, these are temporary and can be removed by a single stroke of the hand. This must not be confused with loss of elasticity or problems with the shape which can be attributed to a fabrication error. Special Order! This item will be hand-crafted to your specifications in Europe. Lead times may vary depending on the production queue. Please contact us for current lead times. Standard Delivery is free to the contiguous USA. Allow 12 - 16 weeks (give or take) for production and sea shipment. Expedited Delivery is available at additional cost. Allow 6 - 12 weeks for Expedited Delivery and direct air delivery. This is a special order item. Final sale. No returns.